If you cook Indian food, you'll be using turmeric a good deal. So you're bound to get yellow turmeric stains on your clothes at one time or another. Turmeric gives curries their golden hue and it is also what gives American mustard its yellow color. That yellow color can look alarming on a white fabric, however. The good news is that turmeric stains are easy to take out. Turmeric is the root of a tropical plant and is related to ginger. It has a deep orange-yellow color, which is why it leaves a mark when it is spilled onto fabric. It is added to food for not only its flavor—which is warm and aromatic but somewhat bitter—but also its color, giving a dish a beautiful golden hue. It is a very popular spice in Indian cooking and used as an ingredient in curry recipes. In India, turmeric was considered sacred because it possesses the "color of sunlight" and therefore was believed to have supernatural powers. It was part of many rituals and used in sacred ceremonies. 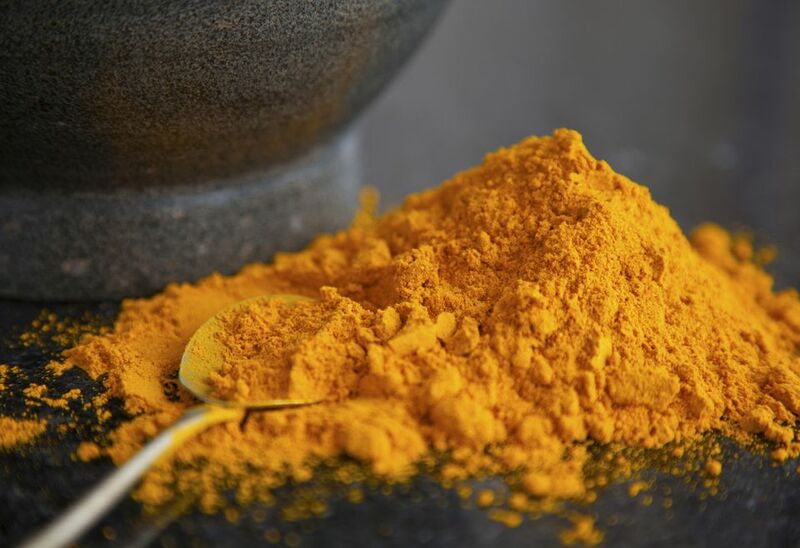 Today, turmeric has become popular in the United States and other western cultures not only for its color but also for its many health benefits. You will want to act fast, treating it as soon as you notice you've spilled some on your clothing or kitchen linens. Ideally, you should treat the stain before it has a chance to dry out. As with most stains, hot water will cause it to set and should be avoided. Instead, get cool water and soap or laundry detergent. Dab the stain rather than rubbing it. If you are in a restaurant or somewhere without access to laundry detergent, ask for lemon juice or a lemon and apply the juice to the stain for 15 minutes, then rinse. You can also apply an ice cube to the stain if you're not able to pour water on it (and especially if you're still wearing the item of clothing). If the garment can tolerate bleach, soaking in a mild bleach solution is the best way to get the stain out. Otherwise, apply liquid detergent for 20 minutes or soak in a cool pre-soak bath with laundry detergent for 20 minutes. After soaking, wash the stained clothes or kitchen linen immediately in cool water and soap. Dry in the sun and the stain will fade. Then wash the article again, and the stain should be gone. Further time allowing the garment or linens to sit in the sun will fade the stain. Bleach or vinegar can be used to get stains out of plastic, glass, or glazed ceramic dishes and blender or food processor bowls. Use a 2 to 1 water to bleach ratios, such as 2 cups of hot water and 1 cup of bleach. For countertops, you will need to check instructions for the type of material to ensure you are using something safe. A paste of baking soda and water is useful on most surfaces. Apply it to an inconspicuous area and let it sit for 15 minutes, then lightly scrub and wipe clean. Lemon juice or vinegar may also be used. How to get rid of poultry smell from chicken?